Driveway & Paving services across Buckinghamshire including High Wycombe Aylesbury, Amersham, Chesham & Beaconsfield. We have many years of experience in laying driveway surfaces both in the domestic and commercial landscaping sectors. 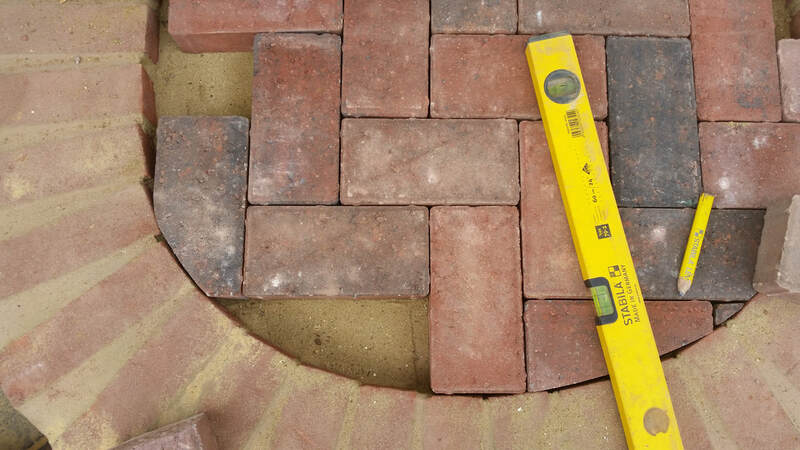 All our driveways comply with British Standard specifications using the correct depth and compactable subgrades to ensure they last the test of time. We are happy to give you advice on the design and planning of your new driveway and some of the best options for you and your property. Our first consideration when starting a new driveway is drainage! If your front garden slopes towards your home we will have to install a drainage gully to the front of the building to collect excess rainwater and channel it away. Today with modern sustainable urban drainage guidelines it is optimal to excavate a 1 metre cubed drainage cage to collect excess storm water. Buckinghamshire Landscape gardeners are experts in advising you on the best driveway drainage solution. The second consideration for you is ‘what surface you will choose’? There are many options for your new driveway but a combination of expense, aesthetics and practicality will determine the choice for you. One of the cheapest and most permeable is a gravel surface. Here simply the drive is dug to a suitable depth, hard-core laid, compacted and the gravel simply spread onto the surface. Many people do not like the loose stones but this is a very ecological option. Tarmac drives are an option for you but are bad for the environment; dripping diesels and oils from cars can eat into the surface destroying the driveway. 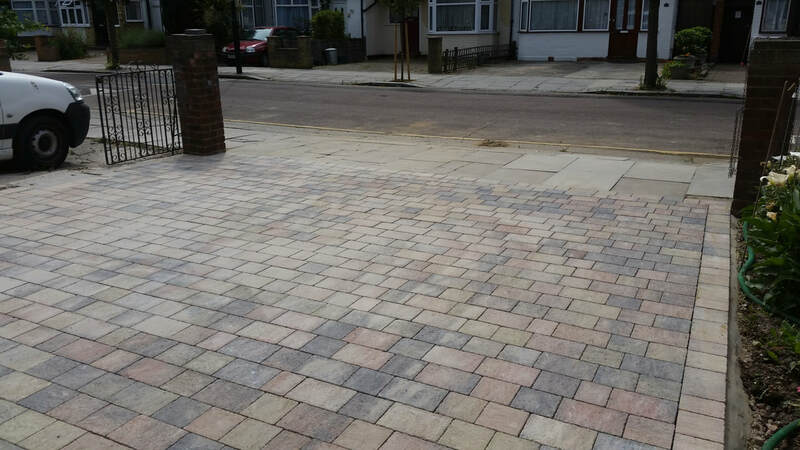 Block paving is one of the most popular choices for driveways today. They apply ‘flexible construction’ with a thin 40 millimetre layer of sand under blocks to take sudden impacts and heavy vehicles without the risk of cracking. This is why driveways are usually built using block pavers instead of slabs, the uneven weight distribution of cars means the base mortar can crack and fracture under the cars weight. If you really want paving slabs for a driveway we recommend a rigid reinforces concrete base. Planning a new driveway in Buckinghamshire including Aylesbury & High Wycombe? 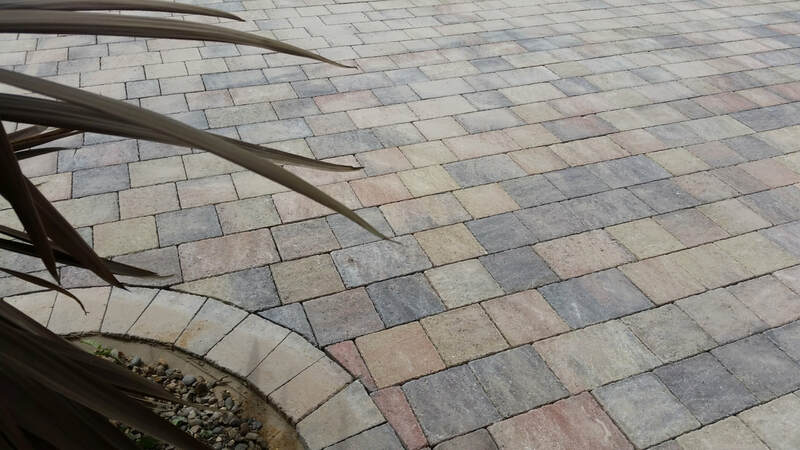 Many people are becoming rather bored with the idea of block paving as after a while the colours look very pasty and worn. This is because block pavers are made by setting concrete aggregates into blocks with a colour dye to the admixture. After a few years the dyes fade in the sun leaving you with a rather grey pasty look. ​We recommend going for the slightly more expensive Tegula block paving which comes in three sizes and has a cobbled effect. The dyes in the blocks are very subtle as they are trying to imitate traditional granite cobbles meaning they will not fade like the blacks, reds and yellows of normal block paving. All of our driveways are dug out to a depth of 220 mm (10 inches). We spread a 150 mm of compactable MOT Type 1 compactable sub grade which is compacted with a vibro-compaction plate. We then will install an edge restraint of some kind usually a kerb edging or concreting a clock perimeter edge. We then lay a 30-40 mm layer of sand and screed it ready to lay the blocks. When the blocks are laid we cut blocks neatly around the edges and then spread kiln dried (egg timer) sand to the gaps. The driveway is then ready to be compacted; a compaction plate is run over the surface to pack the blocks into place. For more information on this process please watch a video of one of our driveways below in Denham, South Buckinghamshire. Please feel free to call us with any questions regarding your driveway or for a no obligation quotation. We cover all of Buckinghamshire including the towns of Amersham, High Wycombe and Aylesbury.